Over the years, we have had the privilege to work on several concept designs and strategic discussions with companies all over the world. 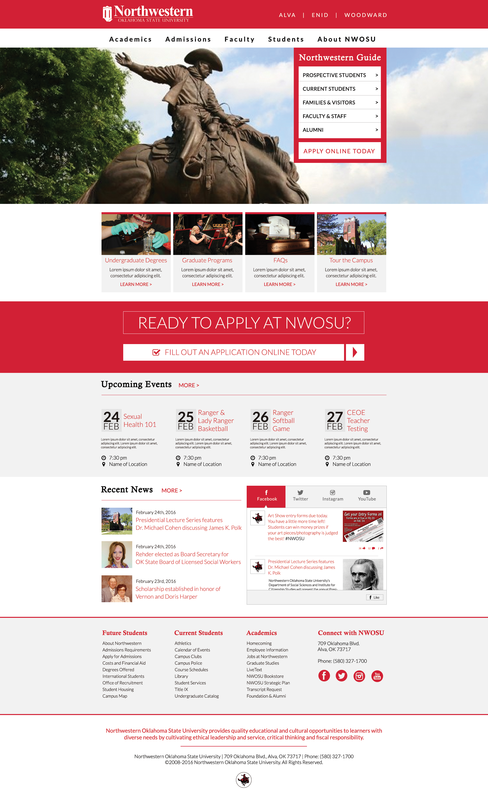 Here are a few of our design concepts for NWOSU in Oklahoma. 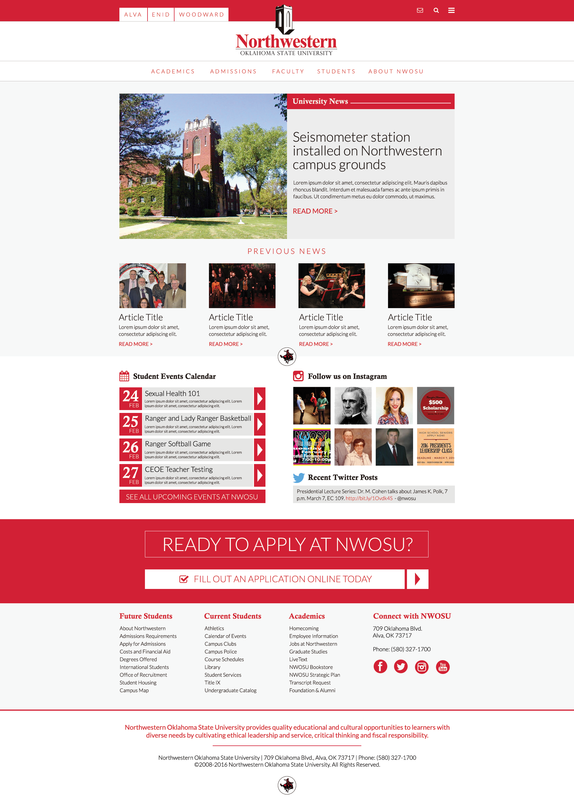 Higher Education, Website Design Concept.